I'm really loving the ability to print on fabric. I drew out a princess and the pea bed, scanned it into my computer, and then printed it out on fabric. Each mattress has lots of fun designs which are fun for the kids to look at under the magnifying glass. 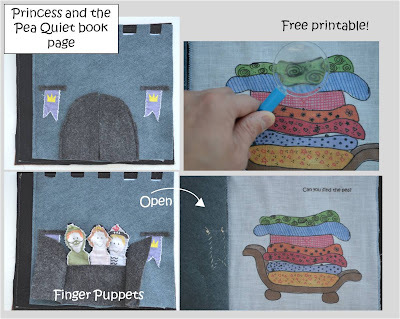 And I've provided the image below if you'd like to make your own printable princess and the pea quiet book page. And here's the template if you want to make your own! 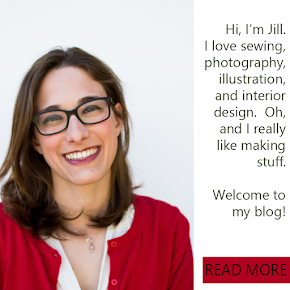 As always, if you use my designs for your personal use, I'd love it if you would leave a comment, or follow the blog here or on facebook. Enjoy! I love your Princess and the Pea template! 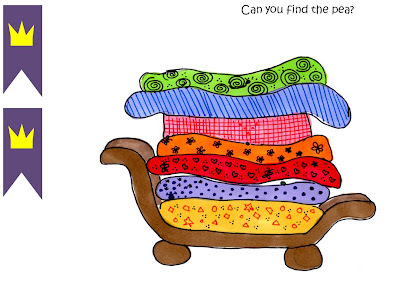 I'm working on a Quiet book and was look for Princess and the Pea inspiration and I love yours the best. Thank you! I'm going to use your template and then add some different fabric on it too. I was looking for a template of just the bed, and not the princess..this is PERFECT!